With the way so many kids raid the refrigerator and gulp down whatever contents may be found there, parents may be tempted to throw up their hands about youngsters’ eating habits. But keep up the good fight, moms, dads, and other grownups: Research increasingly points to childhood─even the time in the womb or shortly thereafter─as a critical periods in combating obesity, and the lifelong ills it can cause. And there may be a surprising skill that youngsters can learn that also can boost their lifelong nutrition and health. The New York Times, in two recent health features, has reported on the research on the importance of prenatal, early, and childhood efforts to combat obesity. The paper cites experts and studies that say, for example, that kids can be hampered for life by starting out overweight, adding excess fat cells that long will be tough to shed. Two new studies, conducted among more than half a million children … who were followed for many years, linked a high body mass index in children to an increased risk of developing colon cancer and suffering an early stroke as adults. The studies … underscore the importance of preventing and reversing undue weight gain in young children and teenagers. Although neither study proves that excess weight in childhood itself, as opposed to being overweight as an adult, is responsible for the higher rates of cancer and stroke, overweight children are much more likely to become overweight adults—unless they adopt and maintain healthier patterns of eating and exercise. Experts, of course, recommend that grown-ups give kids nutritious fare, and help them learn about good, healthy eating. 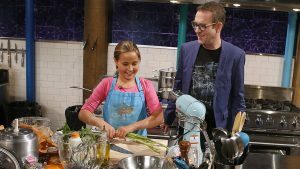 A Canadian family doctor, who also works with a weight management center, has blogged about another excellent way to better youngsters’ health and diet: teach them to cook. Cooking is a life skill and it’s a parent’s job to teach those before they leave home. If you aren’t comfortable with cooking yourself, take the opportunity to learn with your kids. Your kids learning how to cook will serve not only to help them in providing themselves and their futures with healthful meals, but will also save them money during their lean years and will likely reduce their risk of developing a myriad of diet-related, chronic, non-communicable diseases. I say, hear, hear to his idea, especially his contention that cooking skill should be held in as high importance for kids as teaching them sports or, say, rudimentary computer coding. 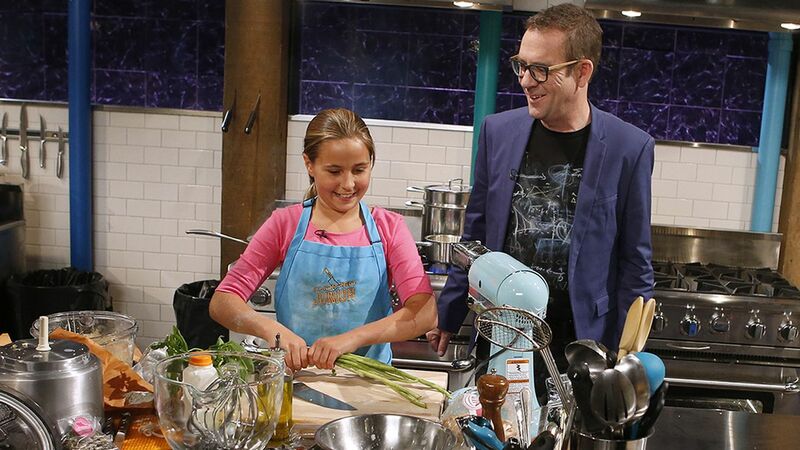 Youngsters don’t need to be as polished in the kitchen as those who compete on food television shows. But I’ve written recently about the importance, when it comes to food and diet, of education, moderation, and knowledge, especially food science that leads to tasty cuisine, in helping us all to eat better to stay healthier.